I’m recruiting an intern to work for 2 months as a trainee Digital Marketing Genius. We are growing and we have an opening for a part-time intern. This is an opportunity to work alongside me for 8 weeks and to be trained in digital marketing and running a small business. Ideal for someone who wants to start up on their own digital business and wants to see how a small business operates from the inside and gain valuable skills and expertise. This role would suit someone who enjoys organisation. 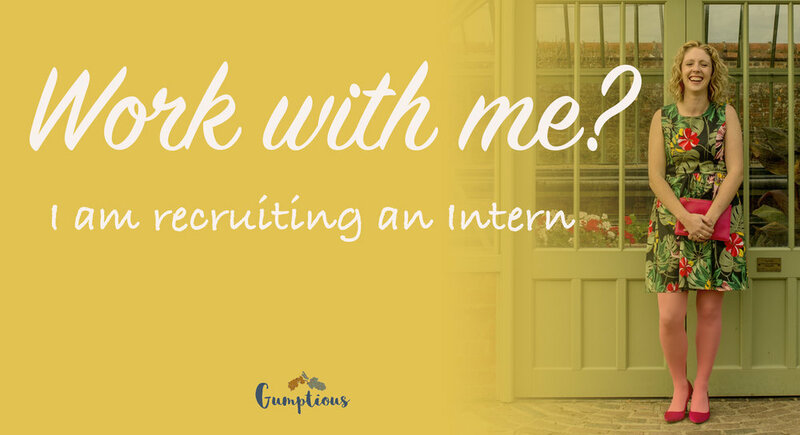 Interns must be able to travel to the Gumptious office near Andover, Hants and have a positive ‘can-do’ attitude. Post: Digital Marketing Intern for a start-up digital business. Length: 8 weeks voluntary post. Hours: Flexible. 18 hrs per week. Start date: Dec 3rd 2018. Must be computer literate and have some experience of a variety of digital mediums such as Google, Facebook, YouTube. The ability to work in an organised manner and keep records. To apply for this role please fill out your details. For more information get in touch by email or phone.